For all the CSPs out there: Here’s good news. Microsoft has announced a public preview of its Windows Virtual Desktop which features cross-devices multi-session windows 10 along with Office 365 ProPlus virtual desktop experience. Now Cloud Service Providers can extend their services and offer the benefits of Desktop as a service to their clients. Not only Windows Virtual Desktop offers a simplified experience for management, but also supports Windows Server Remote Desktop Services (RDS) desktops and apps. An Active Azure subscription is all you require to get your hands on this preview. Sounds interesting? We have more for you. Businesses can run multiple windows 10 sessions over a single virtual machine. 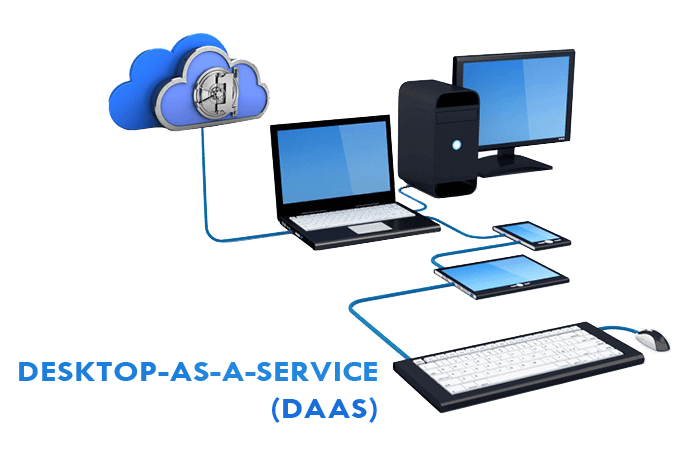 Desktop-as-a-Service (DaaS) you heard it right. No, it’s not the Virtual Desktop Infrastructure that we are talking about today, its Desktop-As-a-Service. With technology innovating the norms around us, Desktops are offered as a Service too! So, what exactly is DaaS? In reality, Desktop-as-a-Service is kind of virtual computing where employees are able to access their desktop environment on any device and it is stored in the cloud. Hence, the work environment along with data is available for access from anywhere!